Japanese candlesticks are the building bricks of the market. It's necessary to train your eyes to distinguish their patterns so that you can look beyond the piles of price blocks and be able to read and foresee the movements of the price. Traders often focus on reversal candlestick patterns, although continuation ones are also worth considering. Here are some tips you may find useful. Trend traders do. Once you have embarked upon a trend, you want to stay in it, the longer the better, but walk away when the market starts smelling of a reversal. Continuation patterns reflect the natural periods of correction and consolidation which take place during a trend. If you locate such pattern, you will be able to join the trend. The important thing is to make sure that you have the young trend that still has potential and not the aging one. 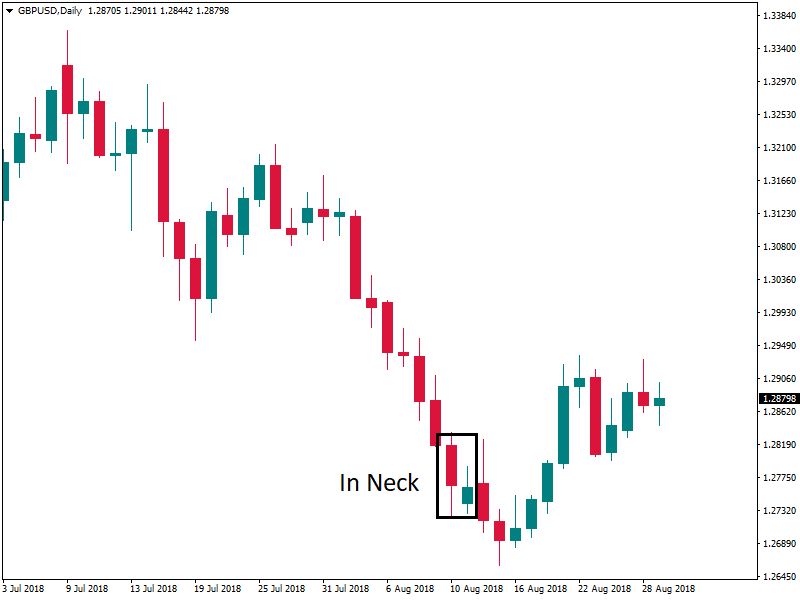 There are many various continuation patterns with more or less subtle features. We'll focus on those that are easier to make out and explain. If you spotted a candlestick with a sizeable body but without shadows at the breakout of a support/resistance, it's an indication that the market aims to continue moving in the chosen direction and has momentum for it. Notice that a "gap" is called a "window" in the language of Japanese candlesticks. Japanese approach involves trading in the direction of the window. Thus, a window during an uptrend implies a further price rise. Windows also become support and resistance areas. A retracement back to the window during a rally allows to consider entering a buy trade. 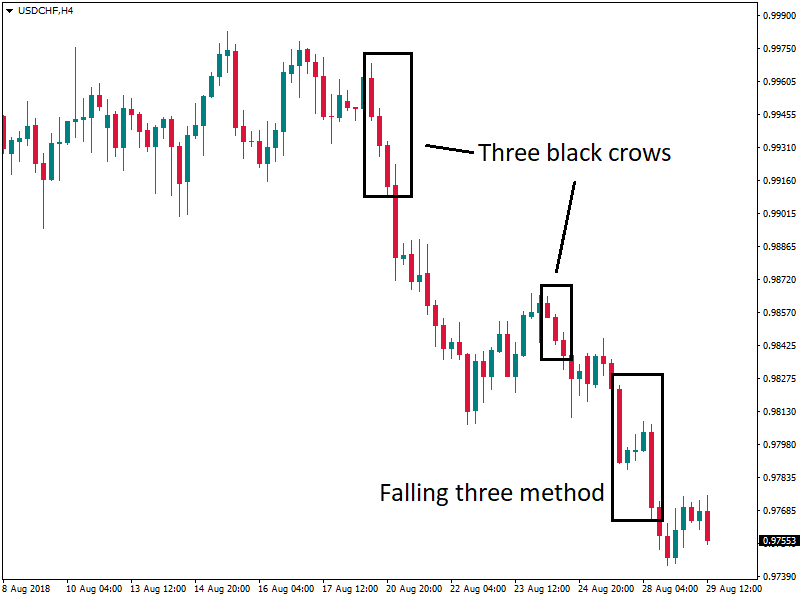 A bearish version of the pattern consists of 3 solid candlestick (black or red - whatever your color scheme), more or less equal in size, each opening within the previous candle's body and closing below the closing price of the previous candle. The pattern signals a healthy bearish market which has strength to carry on. 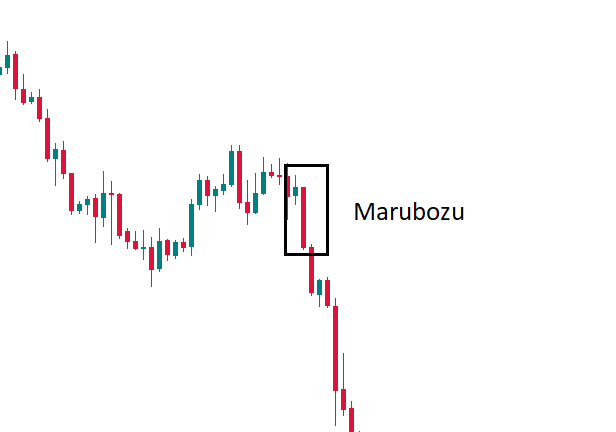 The bearish continuation pattern involves a long bearish candlestick, then 2-3 small bullish or bearish candlesticks inside the range of the first candlestick and the final bearish candlestick that makes a new low. The logic is that this structure is like a "flag" chart formation. The candlesticks allow to have a close-up view of the price and act at a "micro" level. No confirmation is needed upon the formation of this pattern. Such bearish patterns include on-neck, in-neck and thrusting. The key is that after a bearish candlestick in a downtrend, there's a gap (window) down. The bullish candlestick that tries to close this gap, fails to close above the middle of the first candlestick. The lower it closes, the stronger is the downtrend continuation signal. For the uptrend, the similar situation is with separating line pattern. The absence of reversal patterns is itself a sign of a trend's continuation. At the same time, if some reversal patterns appear at the end of correction, they may mean a resumption of the main trend. Candlesticks usually become smaller as the market is getting ready for a breakthrough. In a strong trend, corrections and consolidations are small and the break will be in the direction of a trend. If candlesticks which appear in a trend are extremely big, a correction is very likely. Candlesticks of medium size signal continuation of a trend. In an uptrend, the middle of a long bullish candlestick will act as support. If you see a continuation pattern formed during a correction, be cautious about it. Use the continuation patterns which form within the main trend. Remember that there are no certain solutions in the market. The observation of candlesticks helps to increase the probability of a good trade but doesn't guarantee it.